Since the AT&T Center opened in 2002, Spurs fans have packed the arena. Fans wanted a basketball friendly arena and the Spurs and Bexar County answered by building the 175 million dollar arena. Today the 18,581 seat arena is used by the Spurs (NBA), Silver Stars (WNBA), Rampage (AHL), concerts, and the San Antonio Stock Show & Rodeo. The lower level of the arena is shaped like an octagon and has black chairback seating. The upper level seating also features black chairbacks. There are 50 luxury suites throughout out the arena including two Superbox suites. The lower concourse gives you a South Texas feel with colorful walls, hanging colored lights, and "Mercados" on the sideline stretches of the concourse. Plenty of food options throughout the concourse including Whataburger, Taco Cabana, and Pizza Hut just to name a few. Grab a drink at the Jack Daniels Bar or head outside to the Bud Light Courtyard. Fans will enjoy shooting free throws or shopping at the "Fan Shop" the Spurs team shop. Don't miss the Championship trophies and rings located inside the North entrance. Several pieces of art are scattered throughout the lower concourse, as well. The upper level concourse carries a similar color theme. The main attraction on this level is the HEB Fan Zone. There are plenty of TV's, food options, and arcade style basketball hoops for you to enjoy. The exterior of the arena will catch your eye with the AT&T Center and AT&T logo on top of the entrance. Several towers add a nice look and serve as box offices. The AT&T Center has its own parking. The costs are eight dollars for sections six and seven and 15 for one through five. There are four scoreboards that keep track of stats at the top of each corner of the arena. 360 ribbon scoreboard just below the upper level seating. The drop down scoreboard has eight scoreboards and four video screens. 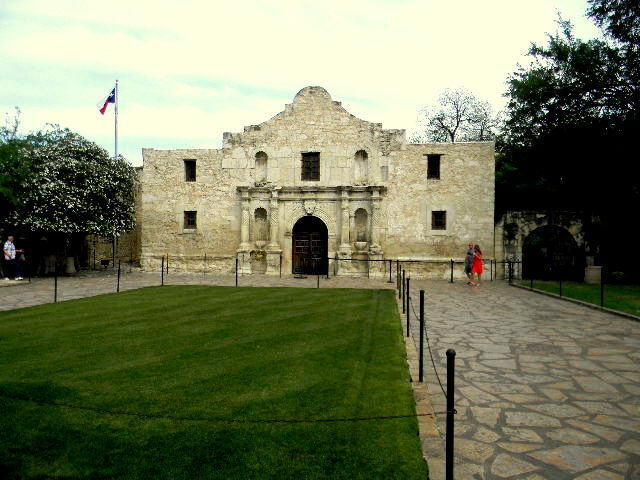 #1 Your first destination of the day should be the Alamo. People who enjoy history and even folks who don't will enjoy this San Antonio landmark. The Alamo is free of charge. #2 The Riverwalk is just a short walk away. One of the best ways to see the Riverwalk is by taking the Rio San Antonio boat tour. For out of town customers it's $8.25 per person. If you are staying on the Riverwalk and don't feel like walking? Try a Riverwalk water taxi. #3 The Riverwalk has many dining options. Popular nationwide restaruants like the Hard Rock Cafe and Rainforest Cafe are found here. Many local favorites like La Margarita's and Boudro's are popular on the Riverwalk. #4 On the West part of Downtown San Antonio lays the Historic Market Square. This part of town has plenty of shopping at the Market, restaurants, and live music. #5 Head to the AT&T Center! 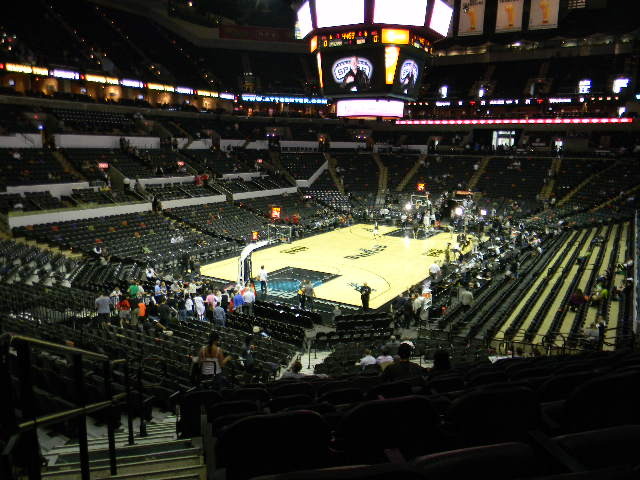 AT&T Center: A few things really stuck out to me about the AT&T Center. The arena is very clean and well maintained. 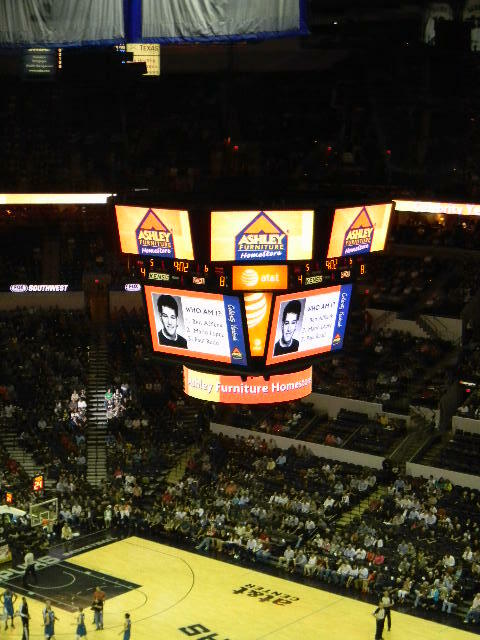 Props to the AT&T Center staff for doing such a great job. The venue is pretty intimate for a NBA arena, which is what Spurs fans wanted coming from the Alamo Dome. The trophy case was great, but I'd like to see it in a more centered location. 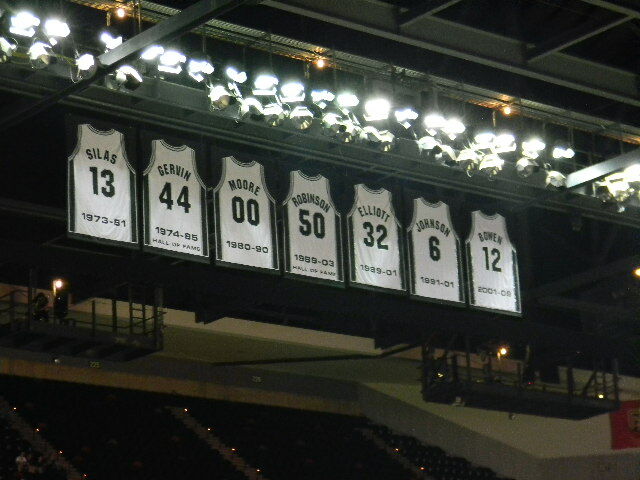 Would like to see a Spurs Hall of Fame either attached or inside the arena. The HEB Fan Zone was pretty cool, gives the arena an open end and plenty of standing room to watch game. The concourse theme was average; they could improve it with bringing in more San Antonio flavor. The onsite parking was at a fair price. The one big negative I have is the arena's location; it's about a 10 minute drive from the Riverwalk. San Antonio: This is a great city to have a weekend getaway in. There are plenty of things to do in San Antonio from Sea World to the Alamo. If your interested in seeing an area filled with Mexican culture visit San Antonio's Market Square. El Mercado is located here and is the largest Mexican market outside of Mexico. Great Mexican dining an be found at La Margarita and Mi Tierra Cafe and Bakery. With the squares vibrant colors and live music this is a place you have to visit. Atmosphere: The Spurs have a loyal fan base selling out most games throughout the year. The in game entertainment was sub-par on the night I went and it was fan appreciation night. The arena got pretty loud at times throughout the night. Court Design: Basic court design with Spurs written at halfcourt with the U being a spur. AT&T Center is written on each half of the court. A spur is also located on each end of floor in between the free throw area and the three point line. The baselines are the same with Spurs bold and in grey writing and San Antonio on one side of the Spurs and basketball on the other. What's your AT&T Center Rating? Check out all my reviews here! 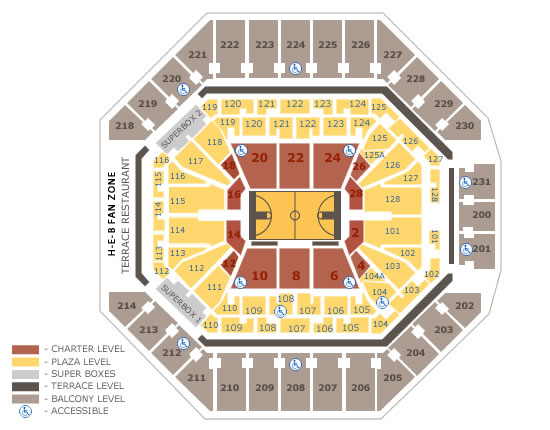 Post Your Review of the AT&T Center Here!